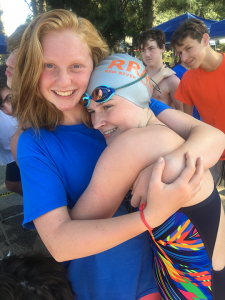 Red River Aquatic Club (RRAC), a local swim team based out of the YMCA of Northwest Louisiana, placed second among the twenty teams competing in this past weekend’s event. 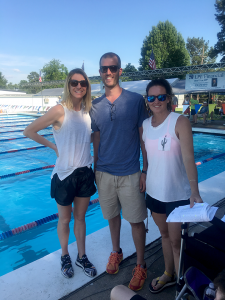 600 swimmers traveled to Shreveport from Texas, Oklahoma, Arkansas, and other regions of the state to compete in the Damon McCoy Invitational. 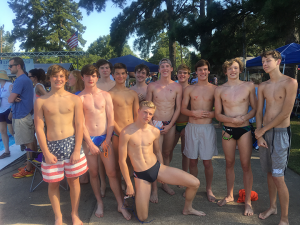 The meet was hosted by the City of Shreveport Swim Team. RRAC’s success was led by several event winners. Catie Miller won the 10&Under 50 and 100 Breaststroke events. 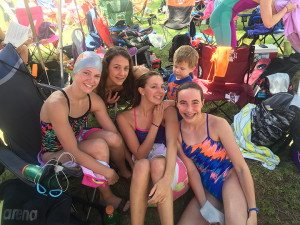 Her sister, Chloe Miller, won the 11-12 50 Breast. Sarah Holt was a three time winner, taking the Girls 13-14 age group 100 Butterfly, 200 Butterfly, and 200 Freestyle. 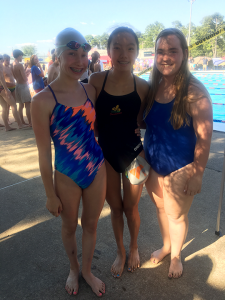 Gracie Tichenor won both the 15&Over 100 and 200 Breaststroke events. Ellie Kairschner won the 13-14 girls 100 Backstroke. Her brother Pierce won the 10&under boys 50 Butterfly. Teammate Josiah Dang finished second in that event. John Wesley Stewart won both of the Boys 15&over Backstroke events. In addition to the individual wins, RRAC swimmers racked up numerous other top-8 finishes throughout the weekend. The also team won 2 of the heavily contested relay events. Sarah Holt came away with the 13-14 girls High Point Award. To compliment her 3 individual wins, Sarah finished near the top of the pack in every event that she swam. RRAC will return to competition in July for the Speedo Sectionals Meet, taking place at the University of Texas in Austin. 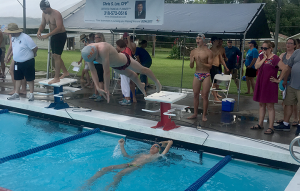 The following weekend, the team will compete for State Championships and the Louisiana Long Course State Swim Meet at the University of New Orleans.